There is much to do and see in Dubrovnik. We have compiled a seven-day schedule that will help you see much of what the city has to offer. This is just a suggestion and should be used as such but the staff at Tour the Game of Thrones not only wants you to join them on one of their famous walking tours, they want to make sure you get the most out of your experience in this magical city. The perfect introduction to Dubrovnik is to walk around its city walls, accessed by the main entrance by the Pile Gate. Admission allows you to stroll high up over the Old Town at your own pace, getting your bearings and admiring both the stunning views and the skill with which the great architects created these historic fortifications. The Walls, that for centuries defended the ancient Dubrovnik from the barbarian hordes, the Saracens, the Ottomans and the Dubrovnik’s commercial rivals, the Venetians have withstood the test of time and are a sight to behold even today. Any Game of Thrones fan will recognize some landmarks within the Old Town from the bird’s eye perspective. For complete silence, rest and relaxation, take the catamaran or the ferry from Dubrovnik and leave the world behind. Mljet is Dalmatia’s most southern, beautiful island. A third of it is a national park, where the 12th-century Monastery of St Mary sits in the middle of an isolated saltwater lake. The rest of Mljet is undeveloped and unspoiled, which makes it a refreshing change from the busy tourist hotspot such as Dubrovnik. The gateway to Peljesac, a peninsula of fertile vineyards, long shingle beaches, and oyster farms, Ston and Mail Ston still contain stretches of the 14th-century walls that once defended the nearby saltpans from the treacherous Venetians. Each of these twin traditional settlements, a short drive north of Dubrovnik, provides the ideal introduction to the natural bounty of the area. In spring, the annual Oyster Festival brings hundreds of visitors from Dubrovnik. South of Dubrovnik, fringing Croatia’s border with Montenegro, the steep hills and deep valleys of Konavle offer the perfect step in discovering Dubrovnik-Neretva County. Occasional traditional stone houses dot the terrain, some surrounded by uninterrupted nature. In spring, a newly opened cycle and hiking path is lined with signposts and information boards, part of an area-wide project to promote sustainable tourism. Spring is the best time to visit the Arboretum in Trsteno, just outside Dubrovnik. One of the many locations used in and around the city for Game of Thrones, the Arboretum doubling up as the palace gardens of the Red Keep, this historic and natural attraction dates back to 1494. The Arboretum is the product of the Renaissance era when sea captains would bring back rare and exotic seeds and plants from their travels during the Age of Discoveries. Korcula is best explored before the tourists flood in. A mini sort of Dubrovnik, Korcula is one of the most relaxing getaways on the Adriatic coast and contains one of the best-preserved medieval centers in Croatia. Said to be the home of the medieval explorer Marco Polo, Korcula was long run by the Dubrovnik’s main adversaries, the Venetians who have left the mark on its magnificent architecture. While the nearby Peljesac peninsula provides great opportunities for wine tasting of the best known Croatian red wine varietal Plavac Mali, Korcula is best known for its white wine gems: Grk and Posip wine. The southernmost resort in Croatia, an old Greek, and Roman settlement, Cavtat sits a short drive south of town, closet to Dubrovnik airport. Cavtat is easily accessible by city bus or boat from Dubrovnik’s Old Town Harbour. The relaxed atmosphere of this pretty Mediterranean old town won’t leave anyone indifferent. 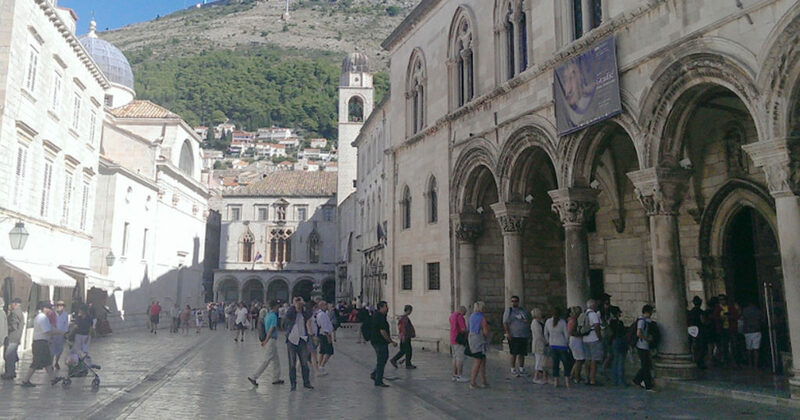 Tour the Game of Thrones and then visit the rest of what Dubrovnik has to offer. We are waiting for you! Great tour with Tom as our guide. We really liked that we had a private tour. It was nice that we didn't have to deal with a large group and Tom could gear the tour to what we were interested in. Tom suggested we start early in order to avoid the busy crowds in Dubrovnik. He was great at skirting us around the crowds and of course he took us to the iron throne for photos. His customer service did not end with the tour. He sent me an email with lots of other places to see while we were in Dubrovnik.